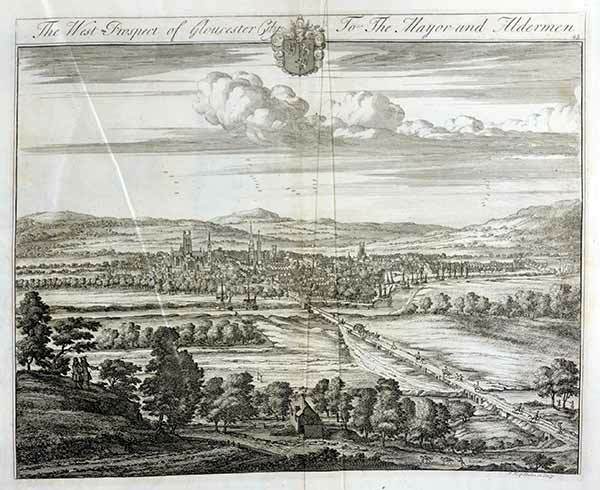 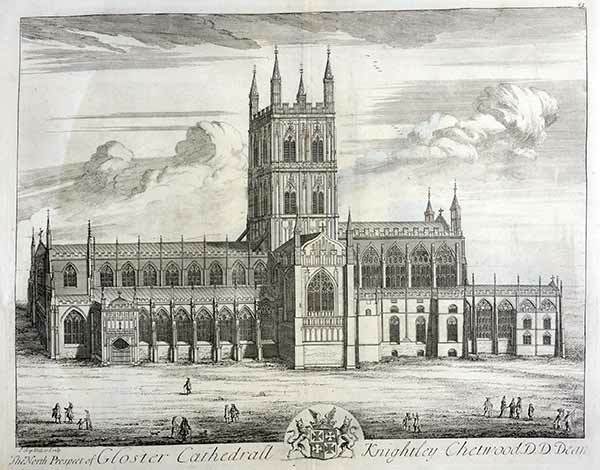 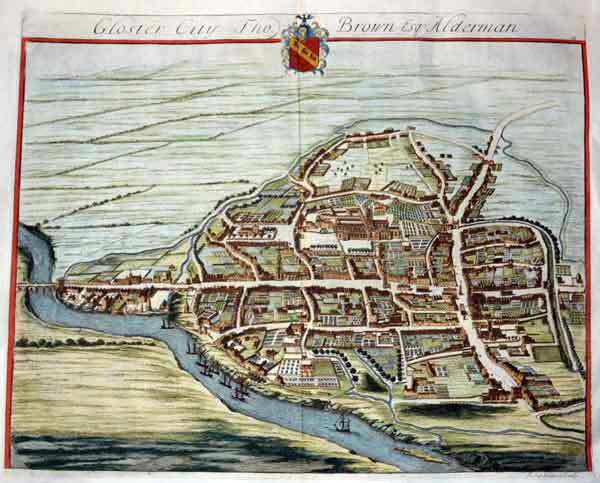 Gloster City Th Bown Alderman Gloucester City, Thomas Brown Esq Alderman. 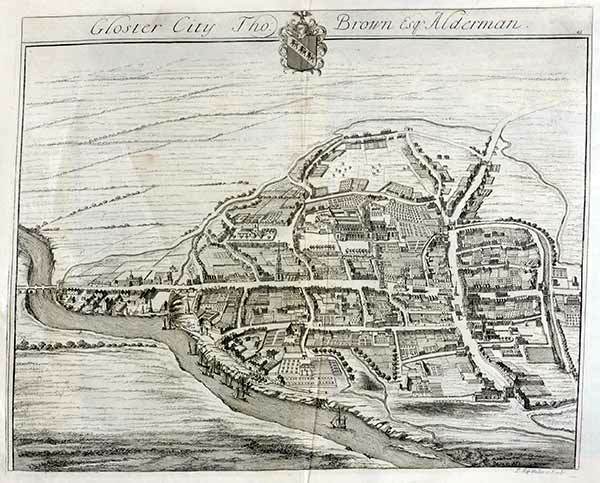 Gloster City Th Bown Alderman More of these are listed on the Kip pages Gloucester City, Thomas Brown Esq Alderman. 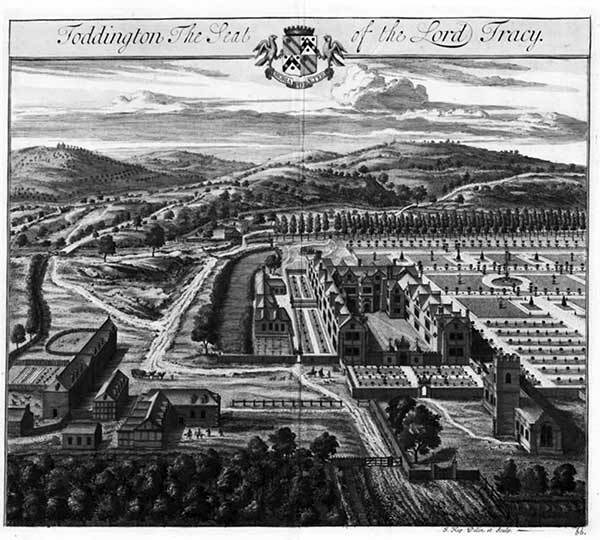 London: 1708-49. 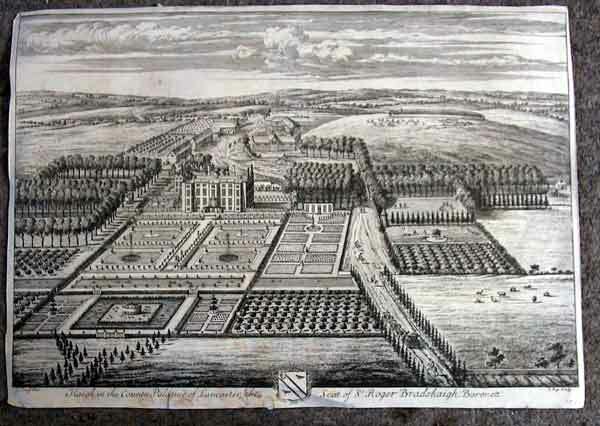 Copper engraving by Johannes Kip /Jan Kip after a drawing by Leonard Knyff, Sheet size: 18 1/4 x 22 3/4 inches. . 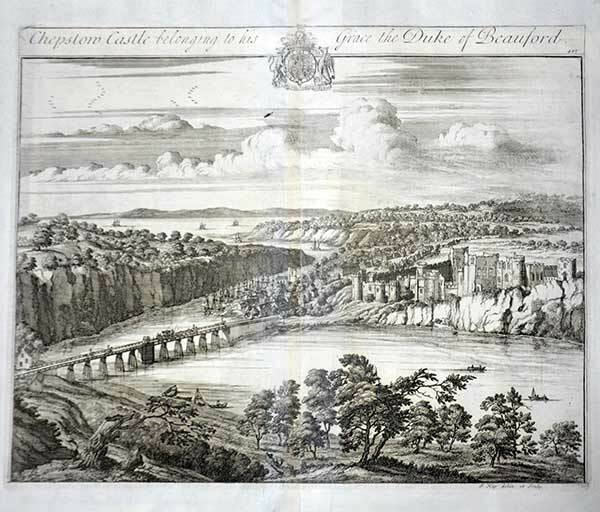 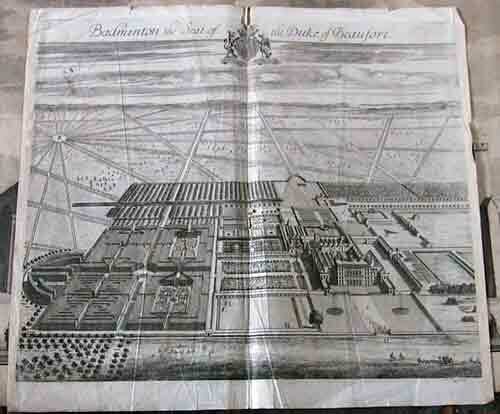 This print is from Johannes Kip's survey of English castles, palaces and country houses during the reign of Queen Anne entitled Britannia Illustrata, or Views of Several of the Queens Palaces also of the Principal Seats of the Nobility and Gentry of Great Britain, also published as Nouveau Theatre de la Grande Bretagne: ou description exacte des palais de la Reine, et des Maisons les plus considerables des des Seigneurs & des Gentilshommes de la Grande Bretagne. . .CONDITION :cropped to plate mark. 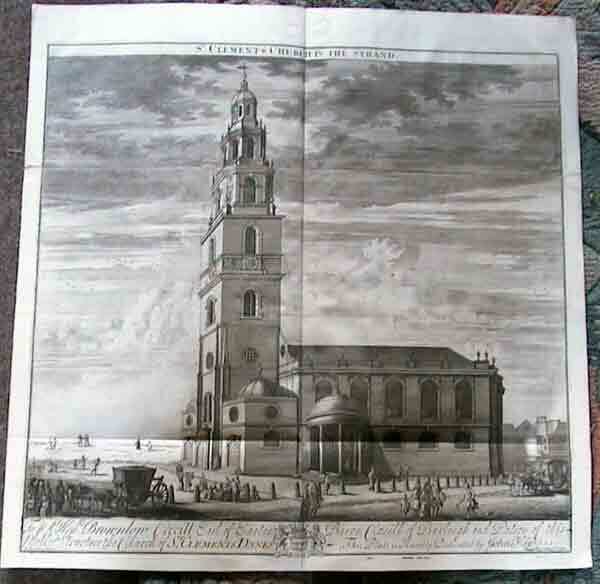 some staining in the base inscription, small edge tear bottom rt edge, £105 .